The third in the series of the classic fantasy tales - The Chronicles of Narnia. Read by the unforgettable Sir Michael Hordern. "Where I come from, nearly all the animals talk," said the Horse. "The happy land of Narnia." His whinny sounded very like a sigh. 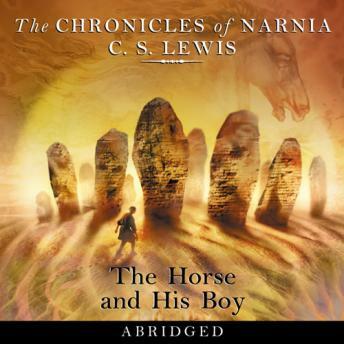 In The Horse and His Boy, Shasta, a boy on the verge of being sold into slavery, meets Bree, a talking horse who has been kidnapped from Narnia and longs to return there. Together they decide to run away in search of his beloved home. They flee on a wild and dangerous journey through strange cities, eerie tombs and harsh deserts - in search of Narnia, where there is freedom and safety.